Pizza is one of those feel good foods that almost everyone likes. What’s not to like? The crust, the sauce, the pepperoni – and of course, the cheese. Everything about it is perfect. Since it is such a perfect food, how much better would it be if you stuffed the toppings inside of a garlic bread crust? 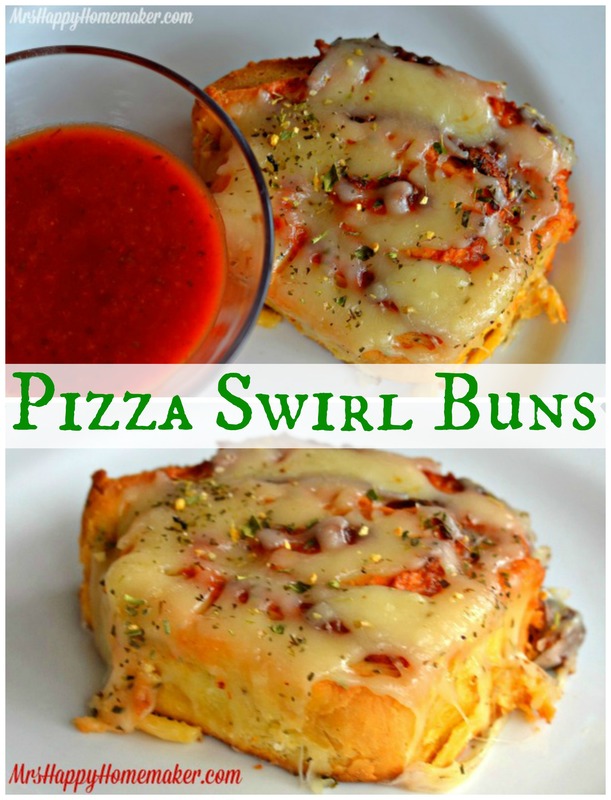 Oh yes – enter the birth of Pizza Swirl Buns. 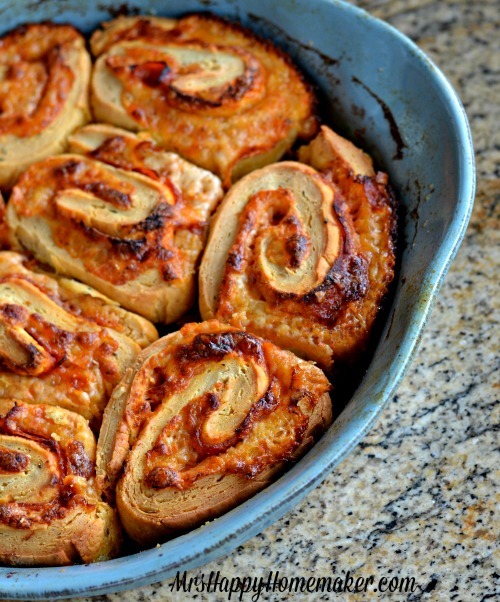 These are like the dinner version of a cinnamon roll… 3rd cousin twice removed – or something like that. But don’t worry, no cinnamon in this. Because cinnamon on pizza would be gross. If you have a bread machine, pull it out! That’s the easiest method to make the dough for the buns. I love my bread machine – I even have 2 of them. If you don’t have a bread machine, don’t worry. We’re not leaving you out! Ok, bread machine users – place the ingredients in your machine according to the user manual, which usually calls for liquids first, then seasonings, flour, & then yeast. Set the bread machine on the dough cycle. 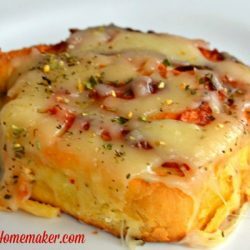 If you don’t have a bread machine, there are instructions for you to follow in the printable format at the end of this post 🙂 And, if you want to go an extra easy route, you could always use your favorite kind of refrigerated pizza crust dough – but this homemade dough tastes so much better! 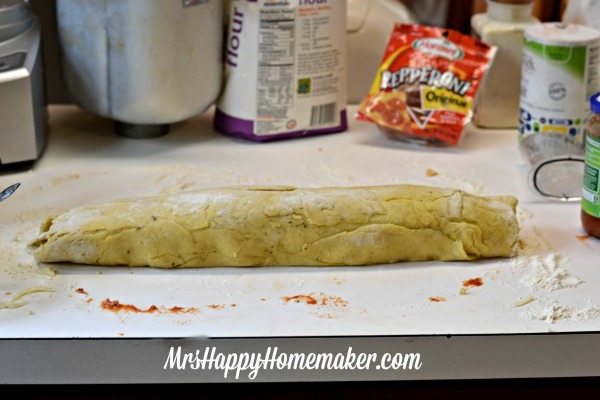 Once your dough is formed, roll it out into a large rectangle. 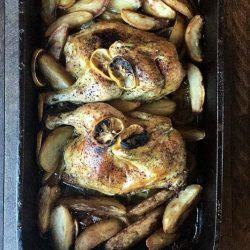 No exact measurements – just about the size of a half sheet pan. Combine 1 stick of softened butter with 1 tablespoon of garlic powder. 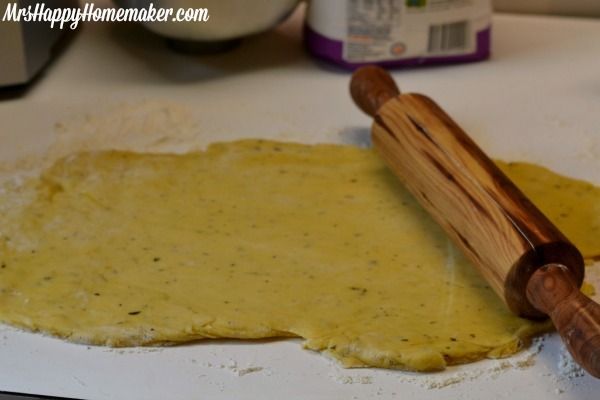 Spread the garlic-y butter over the rolled out dough. 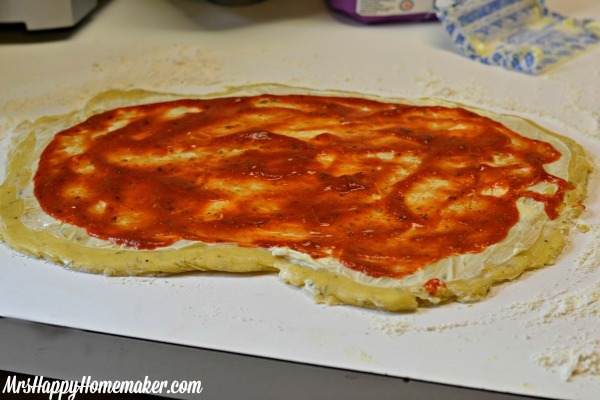 Spread on 1/2 cup of pizza sauce. 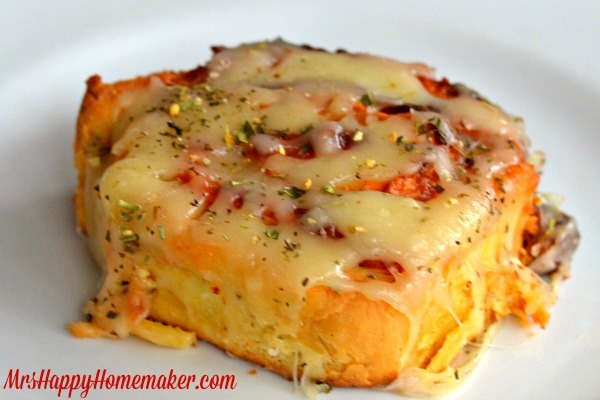 Sprinkle on about 3/4 cup of shredded mozzarella cheese. Now, your pepperoni. Or whatever other toppings you enjoy. Be creative! Roll the deliciousness up lengthwise. Slice the buns in 1.5-2 inch rounds using a sharp knife. 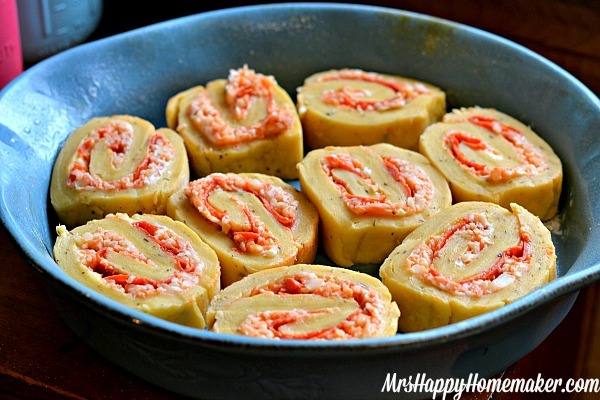 Spray your baking pan with a little nonstick cooking spray, and place your pizza swirl rolls inside. Let sit in a draft free location for 30 minutes. Then, bake at 350 degrees for 25-30 minutes. 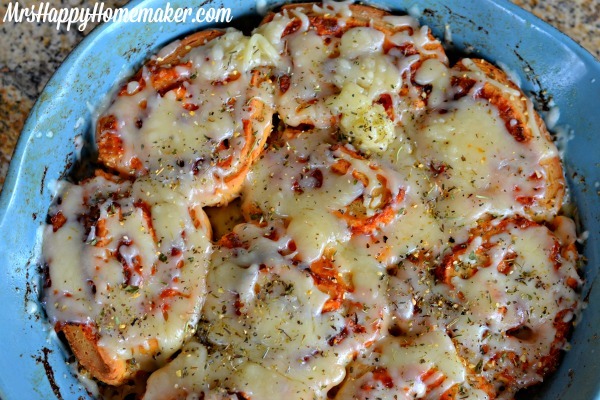 Sprinkle on some more mozzarella cheese over top of the baked rolls. I sprinkled on a little Italian seasoning as well. Return to the oven just until the cheese melts into a cheesy tent. 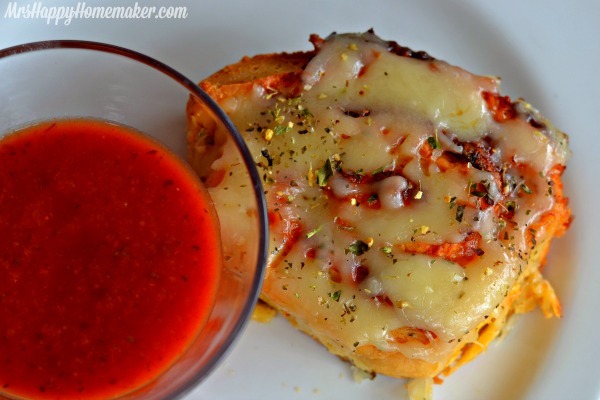 Serve with a dipping cup of pizza sauce. Bread machine: Combine all the dough ingredients in your bread machine in the order as called for in your owner’s manual – which is usually liquids first, then seasonings, then flour, & then yeast. 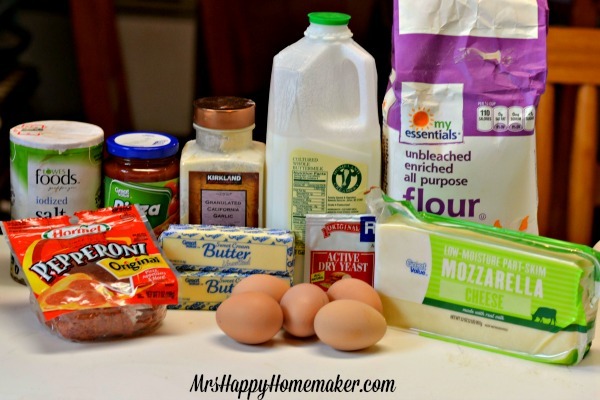 Stand mixer: In the bowl of a stand mixer with the whisk attachment, whisk the egg yolks, whole egg, garlic powder, Italian seasoning, butter, and buttermilk. Add 2 cups of the flour along with the yeast and salt. Whisk until moistened and combined. Remove the whisk attachment and replace with a dough hook. Add the remaining flour and knead on low speed for 5 minutes. Knead on low speed 5 minutes more or until the dough clears the sides of the bowl. Turn the dough out onto a lightly floured work surface; knead by hand about 30 seconds. Lightly oil a large bowl. 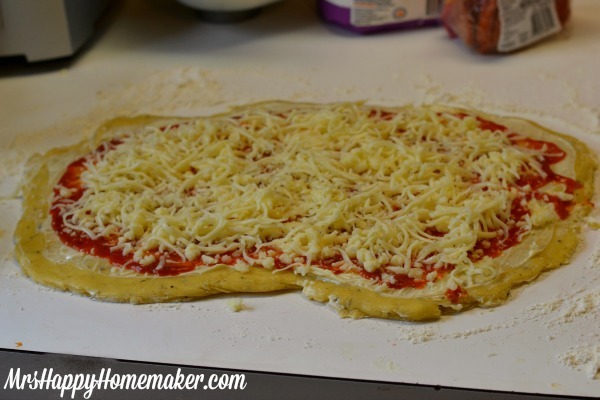 Transfer the dough to the bowl, lightly oil the top of the dough, cover and let double in volume, 2 to 2½ hours. Once your dough is made, roll it out into a large rectangle – about the size of a half sheet baking pan. 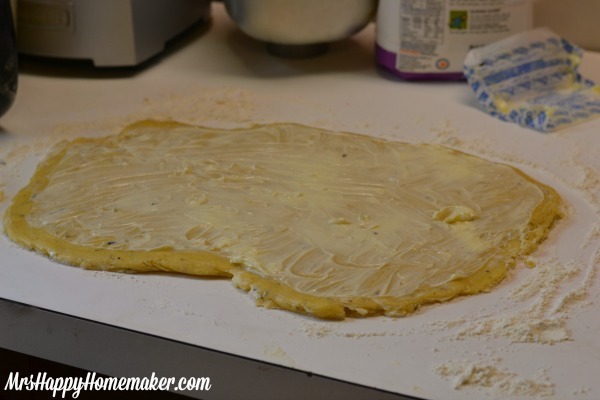 Combine a stick of softened butter with a tablespoon of garlic powder, and spread the mixture over top of the rolled out dough. Then, spread on your pizza sauce. 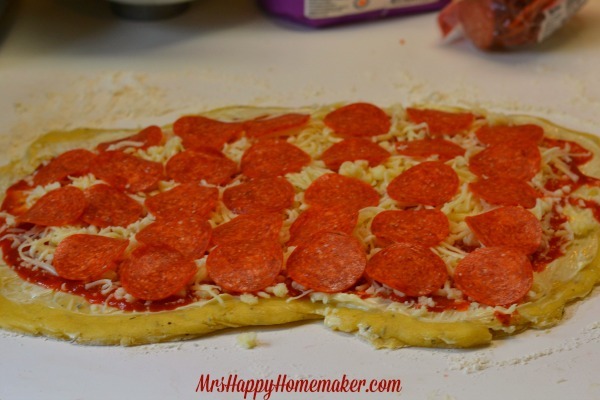 Sprinkle with mozzarella cheese & arrange the pepperoni (or other pizza toppings) on top. Roll up lengthwise, and slice into 1½-2 inch rounds. Spray 2 round cake pans with nonstick cooking spray, and arrange the pizza rolls inside. They should be very close, but not completely touching. 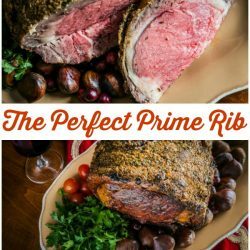 Bake in an oven preheated to 350 degrees for 25-30 minutes. Sprinkle with your desired amount of mozzarella cheese; return to the oven just til the cheese has melted. 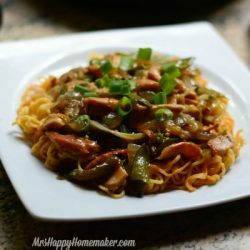 You can also sprinkle a little Italian seasoning on top, if desired. Serve with pizza sauce for your dipping pleasure.